Diwali is the festival of lights and perhaps one of my favorite holidays that I got to spend with my dad's side of the family. The celebrations were never over the top but there would be little oil lamps lit up in the evening and tasty food served. I looked forward to the huge feast that was to follow and all the desserts. Delicious desserts, in all sorts of shapes and sizes that are amazing! Every year when Diwali arrives, my cravings start to kick in, perhaps because they bring back fun memories or because I've somehow ingrained the thought that certain foods should be associated with specific events. Either way, I make the most of this special festival. There are lots of delicious desserts that are prepared to celebrate this bright festival. 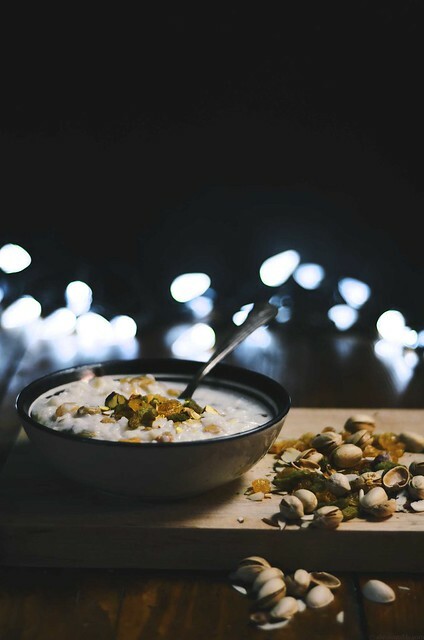 From sweet cashew pastries to rich milk desserts and one of my favorites to eat on Diwali, is a humble rice pudding called kheer (though I'll make it at other times of the year, if I can find an excuse). Kheer is a rather simple and easy dessert to prepare, milk and fragrant basmati rice and lots of lovely dried fruit. 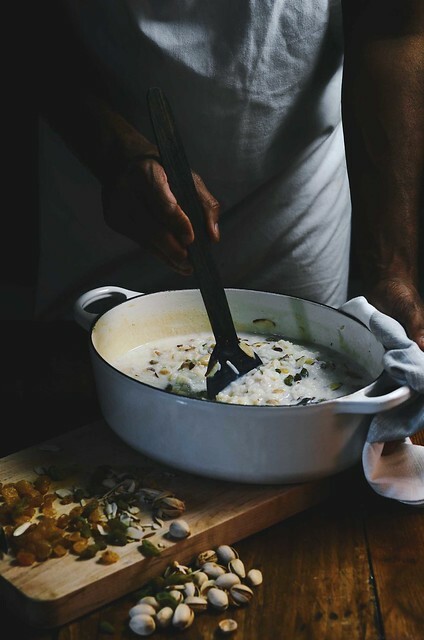 There's something comforting in sticking a spoon into a bowl of rice and milk lightly scented with cardamom and eating all those delicious sweet dried fruit. 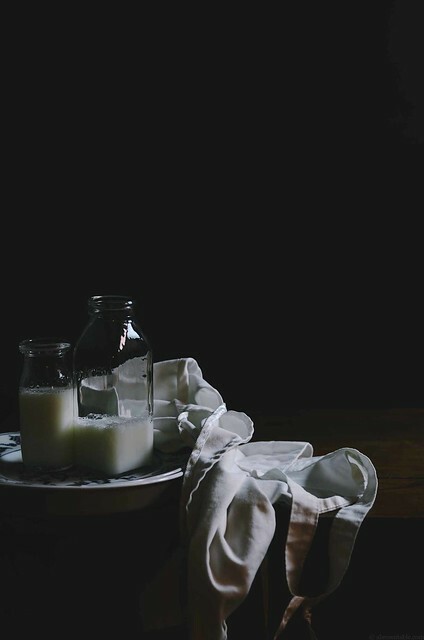 Use whole milk or low-fat milk. It will make a creamier base. I only use green cardamom to infuse the milk, however I have tasted some versions with ground cinnamon. I'm not a huge fan of cinnamon and cardamom together in kheer because of the contrasting warm and cool notes of each spice, they can get quite pronounced when it's just the two of them together. 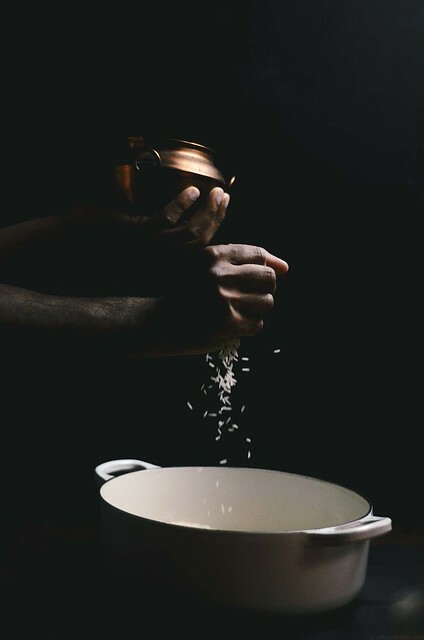 Use basmati rice, it brings a lovely aromatic flavor to the kheer. A fig and black pepper latte! Baked pumpkin donuts with a caramel glaze, I need to get a donut pan! 1. Wash the rice thoroughly under cold running tap water. Place in a thick bottomed stock pot with the water and bring the water to a boil on a high flame, then immediately reduce to a medium-low and cook until the rice is tender and soft. Most of the water will have evaporated at this point. 2. Once the rice is tender, stir in the milk and sugar. 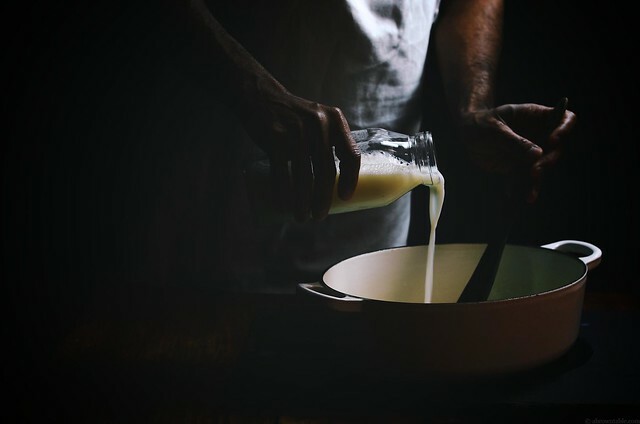 Whisk the rice flour and water together in a small bowl to form a slurry and add it to the milk. Fold in the cardamom, raisins and dates. Cook over low heat until the milk reduces to half its original volume and the mixture begins to thicken. This will take about 25-30 minutes. Stir occasionally. 3. Once the milk has thickened, remove from the stove and stir in the almonds and pistachios. Allow to cool to room temperature and then refrigerate for at least 4 hours until chilled before serving. If the kheer is too thick in consistency, add a little more milk to thin it out. Taste and adjust sweetness if necessary. 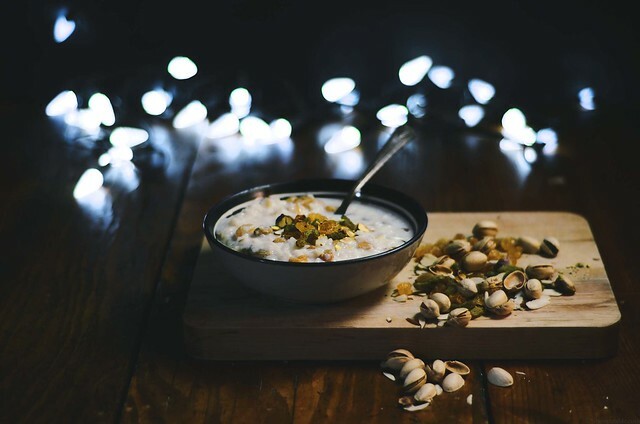 Sprinkle the rose water over the kheer and garnish with the extra raisins, dates, almonds and pistachios.